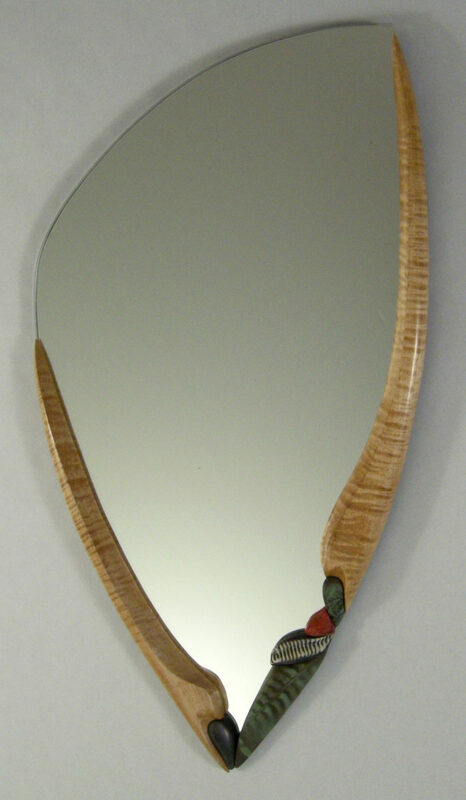 Tiger maple wood and clay "stones" frame this mirror. 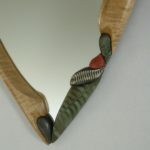 Textures pressed into the clay are reminiscent of fossils. 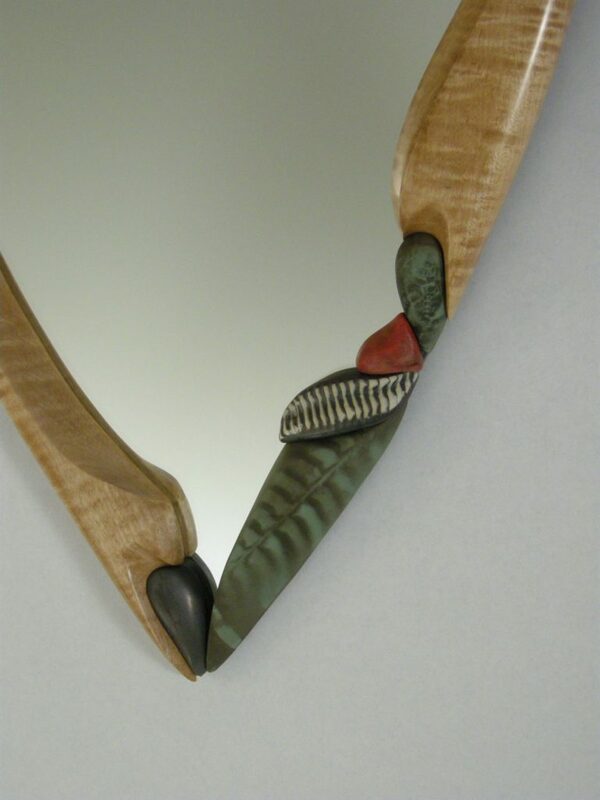 The curving shapes and lines created offer a functional and unique visual hanging art form. 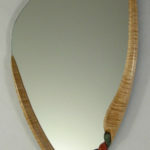 1/4" thick mirror.